Audible has come to India. Did you hear what I said? AUDIBLE HAS COME TO INDIA! And I know I’m late but I wanted to do this post the second I knew it came but I was so busy with life that I forgot. Shame on me. Indeed. but I shall still make this post and gush about it till you roll your eyes. While I do love a physical book since I’ve been doing a lot of artwork and illustrations I have found that nothing can quite beat an audiobook. This way I can keep up with my blogging and my reading while not shirking my duties as an illustrator. Audible abroad is ridiculously expensive for the average Indian freelancer so you can imagine why I am so excited about this particular launch. 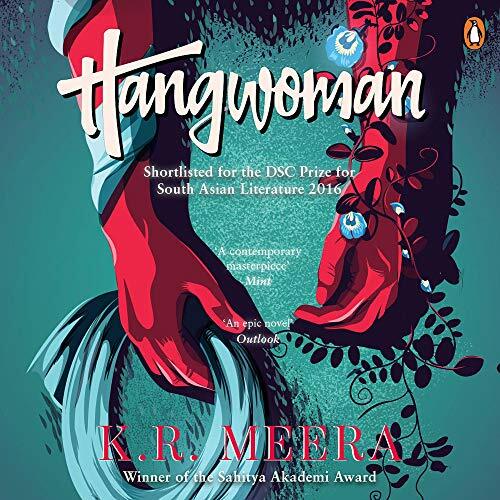 Apart from bringing general audiobooks to the Indian populace it also brings Indian books to the audiobook universe and that too, performed by some seriously amazing people like Radhika Apte, Kalki Koechlin and some men whose names I can’t remember. Here are some books I am definitely hoping to get my hands on. When Tulsi first meets Madhav, she is irrevocably drawn to his chiseled good looks and charm. Although wary of his many dalliances and the string of broken hearts left in his wake, she is surprised by the intense desire that Madhav arouses in her. And before long, she forsakes her family, her prospective career, her fiancé – all for the love of this inscrutable man. But love can be like poison. Years later, Tulsi escapes to the ancient city of Vrindavan, seeking redemption amidst the cries and prayers of its anguished widows. However, when her past catches up with her, old wounds resurface with dramatic consequences. 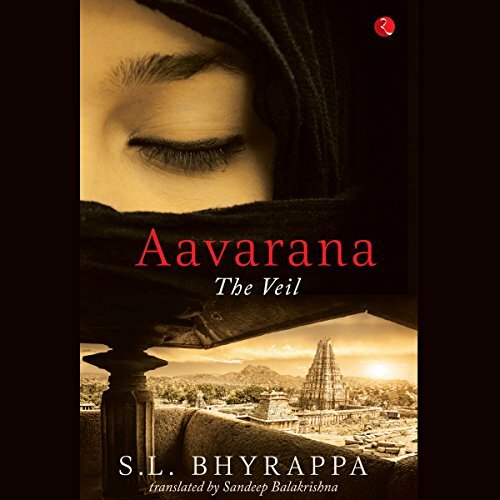 Aavarana: The Veil by S. L. Bhyrappa is a story of a free-spirited and rebellious young woman, Lakshmi, who marries the man she is deeply in love with. Amir, her husband, requests she convert to Islam, and she reluctantly agrees. Despite her father being completely against the marriage, she breaks ties with him and changes her name to Razia. However, things change for the worse, and she discovers a different side to Amir. He is not the progressive and liberal person she thought he was. He, along with his family, forces her into practicing Islam. This sets Lakshmi on a journey to uncover India’s history of religion, caste, and creed. And she finds out that although Indian society has come a long way over the centuries, it still remains as rigid as before. Manjunath Kumar is 14. He knows he is good at cricket – if not as good as his elder brother, Radha. He knows that he fears and resents his domineering and cricket-obsessed father, admires his brilliantly talented sibling and is fascinated by the world of CSI and by curious and interesting scientific facts. But there are many things, about himself and about the world, that he doesn’t know. Sometimes it seems as though everyone around him has a clear idea of who Manju should be except Manju himself. 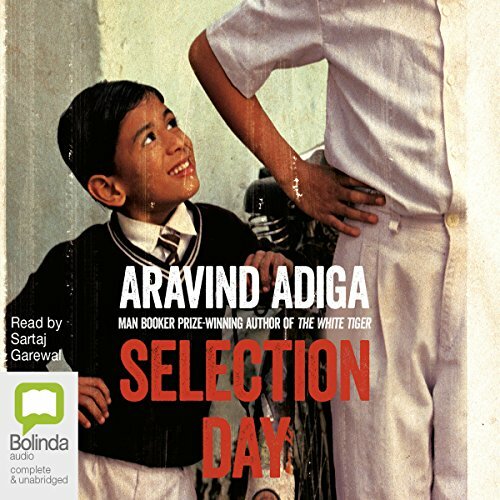 When Manju begins to get to know Radha’s great rival, a boy as privileged and confident as Manju is not, everything in Manju’s world begins to change, and he is faced with decisions that will challenge both his sense of self and of the world around him…. Membership is actually pretty inexpensive so I definitely will be getting myself one when I can. In the meantime, if any of you feel like treating yourself do hop on over to Audible.in and subscribe away. (I’m not sponsored, I wish, just excited). Hi Chitra,I have been following your blog for quite sometime now. I wanted to get some ideas about blogging. Would it be possible to speak to you over email or gmail chat? I’m available via email. The email is in the bio. Oh you totally should! I love intl Audible but hopefully their collection comes here soon.